One of the shocking realities of life in Mozambique is death in Mozambique. The low level of health care and health awareness throughout the country is the major contributing factor to Mozambique's statistical life expectancy of only 45 years! It seems that every week we hear of another completely unexpected death; and all too frequently the latest victim is just far too young to die by any measure. In recent months, a 17-year-old Mieze village girl in our IMC sponsorship program died after a week in the local hospital. Two of our sponsored children lost their mothers...in both cases leaving these children total orphans because their fathers had already died. And the father of another two sponsored children died after a lengthy illness. He had been in and out of hospital; but the doctors were unable to diagnose or treat his problem. Again, his death left his children total orphans because their mother had died about four years ago. All of these adults who died were only in their mid-thirties. That life is so tenuous in Mozambique adds extra urgency to our sharing of the gospel. In the Western world, that element of urgency is almost absent because we package death so it almost doesn't seem real. 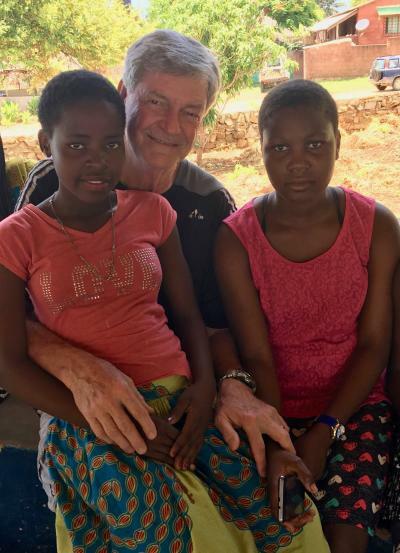 But in Mozambique, God's loving promise of eternal life after physical death is the best good news anyone could hear; and it's been our privilege to see thousands come into God's family by faith in Jesus Christ over the past 13 years in northern Mozambique.